For blackouts of syndicated programming, see syndication exclusivity. In broadcasting, the term blackout refers to the non-airing of television or radio programming in a certain media market. It is particularly prevalent in the broadcasting of sports events, although other television or radio programs may be blacked out as well. Most blackout policies serve to protect local broadcasters (primarily regional sports networks) from competition by "out-of-market" networks that carry different teams, by only allowing viewers to watch non-national telecasts of teams within their designated markets (with television providers blacking out regional telecasts of teams that are outside of their market; in turn, encouraging viewers to purchase subscription-based out-of-market sports packages), and by allowing teams to black out national telecasts of games that are also being shown by a local broadcaster. By contrast, the blackout policies of the National Football League serve to encourage attendance to games instead—by only allowing them to be broadcast on television in a team's designated market if a certain percentage of their tickets are sold prior to the game. However, in the federal election in 2000, Paul Charles Bryan published results from Atlantic Canada online despite being told not to by the authorities. Bryan was charged before the Provincial Court of British Columbia, but fought the charges as unconstitutional under section 2 of the Canadian Charter of Rights and Freedoms, which protects freedom of expression and freedom of association. Bryan's victory before the British Columbia Supreme Court meant that voters in British Columbia and the rest of Canada legally learned of election results in other ridings during the federal election in 2004. However, Elections Canada appealed, and Bryan lost his case before the British Columbia Court of Appeal. Bryan further appealed to the Supreme Court of Canada, but in a ruling made on March 15, 2007 (R. v. Bryan), in a 5-4 ruling, the Court ruled that Section 329 of the Canada Elections Act is constitutional and justified under section 1 of the Canadian Charter of Rights and Freedoms. Stephen Harper, who later became Prime Minister, labelled Elections Canada "jackasses" and tried to raise money for Bryan. The Canadian Broadcasting Corporation also supported Bryan, hoping to "make election night a bigger event that it already is." Before the 2000 election, Elections Canada moved to reduce the effects of the blackout and the influence of unauthorized knowledge of election results in Western ridings by altering the times that polls close, so that polls no longer close at the same local time throughout the country. Polls in Atlantic Canada close at 9 p.m. Atlantic (9:30 in Newfoundland), polls from Alberta to Quebec close an hour later (9 p.m. Eastern, 8 p.m. Central and 7 p.m. Mountain) and finally, polls in British Columbia close an hour after that (7 p.m. Pacific). Historically, the results of the election are often not decisively known until more than an hour after polls close in the Eastern Time Zone, but are usually known within two hours of these polls closing. Provincial elections are not subject to blackout restrictions – in provinces that have two time zones, the vast majority of the population lives in one time zone or the other. 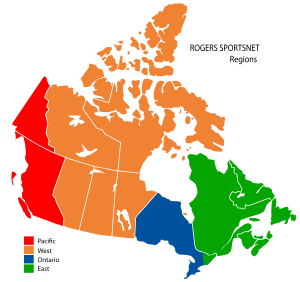 Election laws in these provinces stipulate that all polls are to close at the same time – this time invariably being 8:00 p.m. (or 9:00 p.m. in Ontario beginning with the 2007 provincial election) in the time zone of the majority. On August 17, 2011, Elections Canada Chief Electoral Officer Marc Mayrand suggested improvements of the voting system to Parliament; among them were a proposal to remove the blackout rule, citing the expanded use of social media to disseminate results outside of radio and television. Mayrand stated that "the growing use of social media puts in question not only the practical enforceability of the rule, but also its very intelligibility and usefulness in a world where the distinction between private communication and public transmission is quickly eroding. The time has come for Parliament to consider revoking the current rule." On January 13, 2012, it was announced that the federal government would introduce legislation that would repeal the blackout rule, citing the increased use of social media. The blackout rule was officially repealed in October 2015, prior to the 2015 Canadian federal election. All Canadian Football League games on TSN are subject to local blackouts. For example, Edmonton Eskimos home games are not broadcast in Edmonton or the immediate surrounding area to ensure that fans buy tickets. In the case of Saskatchewan Roughriders home games, the blackout zone covers the entire province of Saskatchewan, largely because that team relies more than the others on province-wide support. The home team has the option of lifting a blackout for games that sell out. Unlike in the NFL however, the home team is not obliged to lift a blackout in such cases. As in the U.S., National Hockey League games that are not scheduled as national telecasts by Sportsnet or TVA Sports are broadcast by regional feeds of either Sportsnet, TSN, or RDS (French), and are blacked out for viewers outside of the team's home market. Sportsnet's four regional feeds correspond with each of its NHL teams' designated markets; the East, Ontario, and Pacific feeds are designated to one team each (the Montreal Canadiens, Toronto Maple Leafs, and Vancouver Canucks), while Sportsnet West and its corresponding market (which includes all of Alberta and Saskatchewan) is shared by the Edmonton Oilers and Calgary Flames. Although West is also the main feed for Manitoba, Flames and Oilers games are blacked out there to protect the Winnipeg Jets. As of August 2014, TSN is similarly structured, with the Ottawa Senators on TSN5 (East), Maple Leafs on TSN4 (Ontario), and Jets on TSN3 (Manitoba and Saskatchewan). The Canadiens and Senators share the same market, which includes parts of Eastern Ontario, Quebec, and Atlantic Canada, while Saskatchewan is shared by the Jets, Flames, and Oilers. Until the 2014-15 season, all French-language broadcasts of the Montreal Canadiens were available nationally on RDS, who was also the national French-language rightsholder of the NHL in Canada. As RDS was, until 2011, the only French-language cable sports channel in Canada, the team forwent a separate regional rights deal and allowed all of its games to be broadcast as part of the national package. As of the 2014-15 season, Quebecor Media and TVA Sports is the national French rightsholder as part of a sub-licensing agreement with Rogers Communications. RDS negotiated a 12-year deal with the team for regional rights to the Canadiens: games are now blacked out for viewers outside of Quebec, Atlantic Canada, and parts of Eastern Ontario. Out-of-market games can be viewed using the subscription-based NHL Centre Ice and Rogers NHL GameCentre Live services, although in-market games are blacked out from both services to protect local broadcasters. GameCentre Live allows streaming of in-market teams if the user authenticates themselves as a subscriber to Sportsnet and/or TSN. Many programs carried on Internet television in other parts of the world are not available in Canada because the major broadcast networks in Canada secure the rights to them and prevent Internet television aggregators from distributing them in Canada. The National Football League, for example, sold worldwide Internet broadcast rights to a package of its Thursday Night Football games to Twitter; however, Rogers Media forced Twitter to block the streams in Canada by virtue of its holding of terrestrial television rights in the country. Numerous organizations have attempted to establish workarounds that route Canadians' Internet traffic through the United States, workarounds that aggregators such as Netflix have actively fought against. Major League Baseball and the National Hockey League have very similar blackout rules. Unlike the National Football League, the blackout of games has nothing to do with attendance, but instead is implemented to protect broadcasters with contracts to air games. Unless a national broadcaster such as ESPN has exclusive rights to a certain regular season game (as they do on Sunday nights), the local broadcaster of a game (such as a Fox Sports regional network for example) has priority over a national broadcaster—so if Fox Sports 1, MLB Network, or TBS is airing a game that is also being aired by the local broadcaster, the national feed would be blacked out in markets where a local broadcaster is also showing coverage. As of the 2014 MLB season, ESPN's coverage of Monday and Wednesday night games is allowed to co-exist with that of a regional broadcaster, and thus no longer has to be blacked out in the participating teams' markets. The NHL utilizes a similar policy of exclusive and non-exclusive national games; NBCSN has an exclusive national window on Wednesday nights, and NBC typically shows a Sunday-afternoon game during the later portion of the season, along with several other "marquee" games such as the Thanksgiving Showdown, Winter Classic, and Stadium Series. Typically, no other games involving U.S. teams are scheduled to occur at the same time. NHL Network and NBCSN typically broadcast non-exclusive national games outside of these windows which are blacked out in the participating teams' markets to protect local broadcasts. All games in the first round of the Stanley Cup playoffs, outside of those designated for exclusive broadcast by NBC, are non-exclusive national games, and are blacked out in local markets (the national rightsholders hold exclusivity for all games thereafter). Out-of-market games can be viewed using the subscription-based MLB Extra Innings, MLB.tv, NHL Center Ice, and NHL.tv services, although in-market games are blacked out from all four services to protect local broadcasters, and they do not offer nationally-televised games. In Major League Baseball, there are no radio blackouts. However, for many years, the radio networks of the two participating ballclubs in the World Series were not allowed to air games, forcing flagship stations, if they wanted to broadcast the Series, to simulcast the network broadcast. As an example, while Boston Red Sox radio flagship WHDH and St. Louis Cardinals flagship station KMOX both broadcast the 1967 World Series, both stations had to simulcast the NBC Radio Network broadcast along with Boston's WCOP and St. Louis' KSD, the nominal NBC Radio affiliates in those cities. This changed after 1980, as fans of the Philadelphia Phillies were angry that they could not hear their popular broadcasting team of Harry Kalas and Richie Ashburn call the team's run to the title. Since then, only the flagship stations of the two participating ballclubs can originate coverage, though their broadcasts are also available on XM Satellite Radio. Flagship stations are required to make mention of the presenting sponsor of the national ESPN Radio broadcasts as also sponsoring the team's own broadcasts during the World Series. XM is required to broadcast the home, away, and both English and Spanish national feeds of the World Series. All other network affiliates of the two clubs must carry the feed from MLB's national partner (currently ESPN Radio). If another ESPN Radio affiliate exists in the same market, that station can claim exclusivity, forcing a blackout of the team network affiliate from carrying the game, though this is rarely done as listener pushback against the ESPN Radio affiliate blocking the local play-by-play would likely be untenable. Additionally, radio stations (including flagships) may not include MLB games in the live Internet streams of their station programming. MLB itself offers radio feeds as a pay service via the league and team websites, along with being a part of the monthly premium fee service from streaming provider TuneIn. Some stations will simply stream the station's regularly scheduled programming that is being pre-empted by the game. The NHL has neither radio blackouts nor national terrestrial coverage. All games are streamed online and home game feeds are broadcast on XM and TuneIn. Prior to the 1998-99 NBA lockout, the NBA and the WNBA used to black out nationally televised games on cable television within 35 miles (56 km) of the home team's market; however, these are now restricted to games on NBA TV, WatchESPN and other streaming providers. There have been two exceptions to the rule, of which one has never been implemented and the other no longer applies. The first is for the Green Bay Packers, which have two overlapping 75-mile blackout zones – one surrounding the team's stadium in Green Bay and another surrounding Milwaukee. The team's radio flagship station is in Milwaukee, and the Packers played part of their home schedule in Milwaukee from 1953 through 1994. However, this policy has never been implemented in the Packers' case, as they have sold out every home game in Green Bay since 1960 and have a decades-long season-ticket waiting list (games in Milwaukee also sold out during this period). The second exception was for the Bills Toronto Series; by a technicality, Rogers Communications (the team's lessee) owned all tickets to those games and resold them to potential fans. Even when Rogers failed to sell all of the tickets, they were still technically defined to be sellouts by the league since Rogers was said to have "bought" the tickets. The technicality came into play for both Toronto Series preseason games, and again for the last two regular season games of the series.The Bills Toronto Series was cancelled after the 2013 season, largely due to the aforementioned lackluster attendance. The NFL blackout is considered to be detrimental to financially struggling teams. For instance, most notably, the Los Angeles Rams were unable to sell-out their home games during their last years of their original tenure in that city (a notable exception being the 1994 game against their then-crosstown rivals the Raiders). So a blackout further robbed the franchise of potential revenue and alienated its remaining fans. The Rams relocated to St. Louis before the 1995 season (the Raiders also left L.A., going back to their original home in Oakland, leaving Los Angeles without an NFL team until the Rams returned to L.A. 21 years later). For other games, no station within the 75-mile (121 km) radius of an NFL stadium may broadcast a game unless it has an affiliation deal with one of the local teams involved. One instance of the practice of this rule was over Hartford, Connecticut CBS affiliate WFSB trying to air a New England Patriots-New York Giants game for December 29, 2007, which would be carried only on the NFL's cable network NFL Network that at the time was available only on a sports tier of cable provider Comcast in the immediate viewing areas of the Patriots and Giants. On December 12, 2007, Broadcasting & Cable reported that Senator John Kerry and Rep. Ed Markey, both of the state of Massachusetts and fans of the New England Patriots team, wrote to the NFL as well as Comcast and Time Warner Cable to request that the Patriots-Giants game be aired at least on basic cable in order to reach the highest possible number of television-viewing fans, as at the time the Patriots were undefeated, and Kerry and Markey viewed the game as "potentially historic", according to John Eggerton of B&C. Kerry clarified the next week that he did not intend to interrupt current negotiations between the cable operators and NFL. On December 19, 2007, representative Joe Courtney (D-CT) and other members of the Connecticut Congressional Delegation wrote to NFL commissioner Roger Goodell to try to have the NFL allow wider broadcast access to the game. Consequently, on December 26, the NFL approved the game to be simulcast from NFL Network to both the CBS and NBC networks, along with WCVB-TV in the Boston market and WWOR-TV in the New York City market. In June 2012, NFL blackout regulations were revised in which, for the first time in NFL history, home games will no longer require a total sellout to be televised locally; instead, teams will be allowed to set a benchmark anywhere from 85 to 100 percent of the stadium's non-premium seats. Any seats sold beyond that benchmark will be subject to heavier revenue sharing. However, four teams, the Buffalo Bills, the Cleveland Browns, the Indianapolis Colts and the San Diego Chargers, have opted out of the new rules, as it would require the teams to pay a higher percentage of gate fees to the NFL's revenue fund. In the 2015 NFL season, the league, after no games were blacked out at all in the 2014 season, voted to "suspend" the blackout policy as an experiment. The suspension will continue into the 2016 season (a season that includes the return of the Rams to the Los Angeles Memorial Coliseum on a temporary basis until the team's new stadium is built - Memorial Coliseum has had long-standing issues with NFL sell-outs); commissioner Roger Goodell stated that the league needed to further investigate the impact of removing the blackout rules before such a change is made permament. Per NFL policies, all games that are exclusively televised on cable, including ESPN's Monday Night Football and Thursday Night Football games that are only shown on NFL Network, are syndicated to over-the-air broadcasters in the markets of the teams involved. For radio broadcasts, the NFL follows a nearly identical policy to MLB. There are no radio blackouts, but only each team's flagship station can carry local broadcasts during the conference championships or Super Bowl. All other markets must carry the NFL on Westwood One feed for those games. For all other weeks, within 75 miles of a team's stadium, only stations the team or its flagship station contracts with can carry those games, regardless if the team is home or away. Thus, any competing station that carries Westwood One broadcasts cannot air those games. Like MLB, the NFL makes local broadcasts (except for those of the Tennessee Titans) available on NFL's Game Pass service and Sirius Satellite Radio; as a result, radio stations that carry NFL games, from any source, and stream on the Internet are prohibited from streaming games online, although it seems this provision is loosely enforced in some cases; WBBM in Chicago regularly airs live broadcasts of Chicago Bears games over their Internet stream, as does WTMJ in Milwaukee with the Packers, though both stations went to a desktop-only streaming policy in 2015 due to the introduction of GamePass and the absorption of the NFL Audio Pass streaming system into Game Pass. MLS Direct Kick contains MLS games originating from either a regional sports network (RSN) or a local over-the-air station and delivers these games to customers who purchase this subscription. These games are not otherwise available to DirecTV subscribers because they are broadcast outside of a subscriber's local area. Further, MLS games shown nationally on ESPN, ESPN2, UniMás and FOX are not included as part of this sports subscription. The television broadcast of the Indianapolis 500 is usually blacked out in the Indianapolis area in order to encourage central Indiana residents to attend the race. Thus WRTV, the ABC affiliate in Indianapolis, carries the race tape-delayed in primetime instead. In May 2016, as that year's edition neared a complete sell-out, IMS announced that it would consider lifting the blackout if all tickets were sold out. On May 25, 2016, it was officially announced that all tickets had been sold, and that the race would air live in the Indianapolis market for the first time since 1950. As is traditional, WRTV will still carry a primetime encore of the race. ↑ "Unplugging a Nation". HEIN Online. Fletcher. Retrieved October 23, 2015. 1 2 "Election night results blackout a thing of the past". CBC News. Retrieved 17 October 2015. ↑ "Supreme Court upholds blackout on early election night results". CBC News. CBC.ca. 2007-06-26. Retrieved 2014-11-04. 1 2 The Globe and Mail: "Lift election-night blackout and test e-voting, electoral officer says", August 17, 2011. ↑ Elections Canada: "Report of the Chief Electoral Officer of Canada on the 41st General Election of May 2, 2011", August 17, 2011. ↑ CTV News: "Feds lifting ban on publishing early election results", January 13, 2012. ↑ Rivari, Joan. "How the NFL Works Closely with the Medi". Access World News. Nottingham Post. Retrieved October 23, 2015. 1 2 Faguy, Steve. "Why is RDS/TSN/Sportsnet blacked out? NHL regional TV rights explained". Retrieved 26 September 2014. ↑ Magder, Jason. "New TVA Sports channel takes a shot at RDS". The Montreal Gazette. Retrieved 27 July 2011. ↑ "NHL signs 12-year TV, Internet deal with Rogers; CBC keeps 'Hockey Night in Canada'". Toronto Star. 2013-11-26. Retrieved 26 November 2013. ↑ "Rogers reaches 12-year broadcast deal with NHL worth $5.2-billion". The Globe and Mail. Toronto. 2013-11-27. Retrieved 26 November 2013. ↑ "What the new NHL broadcast deal means for hockey fans". The Globe and Mail. Toronto. 2013-11-26. Retrieved 26 November 2013. ↑ "RDS, Canadiens announce 12-year regional rights deal". TSN.ca. Retrieved 22 December 2013. ↑ "Rogers GameCentre Live: Game Availability". Rogers.com. Retrieved September 6, 2015. ↑ "Rogers will allow you to watch even more NHL games online this season … just not all of them". National Post. Retrieved 18 September 2014. ↑ Faguy, Steve. "Watching live sports online can be frustrating, even if you're willing to pay". Montreal Gazette. Retrieved 10 February 2016. ↑ "Canadians will be blacked out from Twitter Inc's deal to broadcast Thursday night NFL games". Financial Post. Retrieved 19 September 2016. ↑ Harris, Sophia (October 16, 2016). Netflix hammers cross-border watchers and there may be no way out. CBC. Retrieved October 26, 2016. ↑ Pasaan, Jeff (2006-07-11). "Selig's Promise". Yahoo! Sports. Retrieved 2006-09-11. ↑ Hiestand, Michael (2006-07-11). "TBS drops Braves games, joins Fox in rich TV deal". USAToday.com. USA Today. Retrieved 2006-09-11. ↑ "ESPN Ready To Begin 25th Season Broadcasting MLB With Added Flexibility". Sports Business Journal. Retrieved 1 October 2014. ↑ Dunn, Alexandra. "Social Media and Sports". Access World News. BBC. Retrieved October 23, 2015. ↑ "NFL Sunday Ticket FAQ; Why does the NFL have blackouts?". NFL. Archived from the original on April 2, 2003. ↑ "What are the NFL blackout rules for my home team?". DirecTV. Retrieved November 1, 2013. ↑ Lomeli, Andrew (2006-10-10). "NFL blackout blunder". The Stanford Daily. Archived from the original on October 23, 2006. Retrieved 2007-07-03. ↑ "Edwards leads Bills in win vs. Steelers". Associated Press. 2008-08-14. ↑ Pergament, Alan (2010-08-20). "TV Interest in Bills Increases". Still Talkin' TV. 1 2 Eggerton, John (2007-12-21). "WFSB Wants Patriots-Giants Game". Broadcasting & Cable. Retrieved 2007-12-21. ↑ Eggerton, John (2007-12-12). "Kerry Wants to Huddle with NFL, Cable Operators". Broadcasting & Cable. Retrieved 2007-12-21. ↑ Eggerton, John (2007-12-18). "Kerry Continues to Pressure NFL, Comcast, Time Warner". Broadcasting & Cable. Retrieved 2007-12-21. ↑ Hemingway, Jon (2007-12-26). "NFL OKs Patriots-Giants Game for Broadcast". Broadcasting & Cable. Retrieved 2007-12-29. ↑ Report: NFL team owners get more flexibility on blackouts. The Buffalo News. Retrieved June 30, 2012. ↑ The Buffalo News: "Bills aren't alone on blackout policy", August 14, 2012. ↑ "NFL to suspend TV blackout policy". ESPN.com. Associated Press. March 23, 2015. ↑ "NFL continues suspension of local TV blackout policy for 2016". Sports Illustrated. Retrieved 29 March 2016. 1 2 "IMS blackout lifted after Indy 500 sellout". Indianapolis Star. Retrieved 25 May 2016.